KATHMANDU, Jan 8: The Supreme Court on Sunday reinstated sacked dean of the Institute of Medicine (IOM) of Tribhuvan University (TU), Shashi Sharma just for four days of his remaining tenure. 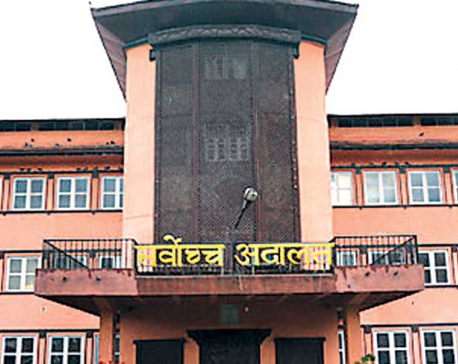 A division bench of Chief Justice Gopal Parajuli and Deepak Kumar Karki issued the order in the name of Prime Minister Sher Bahadur Deube who is also the chancellor of TU to reinstate Sharma to the position of dean even though only four days of his tenure remain from Sunday. He was appointed IOM Dean on July 12, 2013 for four years but the government had appointed Dr Rakesh Kumar Shreevastav, replacing Sharma. 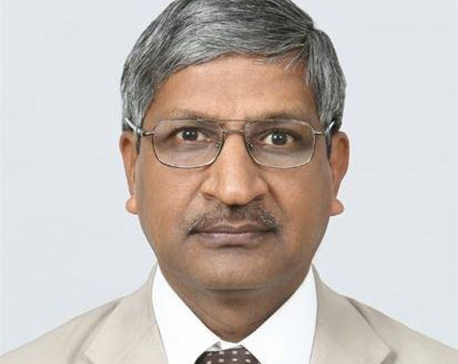 Sharma is the former vice president of Nepal Medical Council who had decided to approve the property details of the controversial Kathmandu National Medical College owned by Jainuddin Ansari. The bench states: “If the petitioner wants to get reinstated to the position, he can go to attend office from today itself.” Scrapping the decision of the government dated February 2, 2014 through the certiorari order that appointed Dr Shreevastav to the same position, the apex court asked the government to reinstate Sharma to the position. Interpreting that the Supreme Court has the responsibility of restoring the rule of law, process and the procedure as required by law, the bench also observed that the government decision was unconstitutional. However, the apex court did not say anything about the appointment of Prof Dr Jagadish Prasad Agrawal and stated that there was no ground to quash his appointment. Agrawal is currently serving as the IOM dean after the resignation of his predecessor Shreevastav following pressure from the Commission for the Investigation of Abuse of Authority before the end of his tenure. The apex court order has led to a situation where there will be two deans at IOM for four days.